Metamug Console provides a framework for REST API creation, management and hosting. REST APIs built with the open-source metamug mason are data-driven, designed easily in few clicks through the user-friendly web console interface. API security and API permissions are handled by the framework in order to guarantee security and privacy of data. The platform also provides automatic generation of API documentation. The framework provides many other features to help developers deliver APIs faster. Metamug maintains a channel to allow components to communicate with the request and the response. The database access and external API calls are available at every step to allow the components to communicate with the request and database. 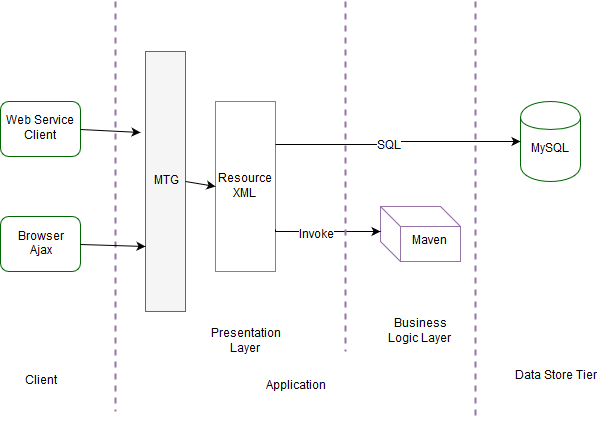 The diagram below explains how the request is processed by metamug. The request is available to each process in the chain and each process can alter and relay the request information for it's subsequent process. The response for the request is generated as soon as the request is handled and it is carried forward from process to process until the final process is reached. Here the response is serialized and send back to the client.